Are you thinking about filing for bankruptcy? Are you afraid of the stigma attached to it? Is the stigma of bankruptcy keeping you from taking advantage of what could be the best option to address financial troubles? Did you know that our bankruptcy system is provided for in the US Constitution? The stigma of filing for bankruptcy can come in the form of negative views of friends and family, or it can be more concrete in the form of inability or difficulty in obtaining credit. 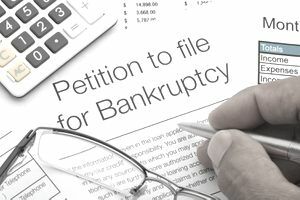 Although the stigma of bankruptcy varies greatly and there may be some truth to it, you shouldn't dismiss the possibility and the potential positives of filing bankruptcy without careful thought. If you consider an actual cost-benefit analysis before filing for bankruptcy, you may discover that what hundreds of thousands of people do every year: that bankruptcy is worth it. This side of the stigma does not affect your finances in any way. It purely relates to how people view you. So, if you are a person who is very concerned with what people think of you, the social stigma may matter greatly. However, you should be aware that although all of your creditors will learn of your bankruptcy filing, it is not very likely that other people will. Although a bankruptcy case is a public matter, most people do not go out looking to see who has filed for bankruptcy. Even if people do find out about your bankruptcy, you may be surprised how understanding they may be, particularly in a rough economy. You may even discover that some of your friends or family members have filed also. By some estimates, one in 10 adults in the United States will file bankruptcy at some point. Think about that next time you're sitting in the PTA meeting or Sunday school class. The other aspect of the social stigma is the emotional side. Some people feel bad when they do not pay their bills. So when you file for bankruptcy and stop paying many of your bills entirely, you may feel very guilty. This reaction suggests that you are a highly responsible person and are probably thinking about bankruptcy because you had no other choice and likely due to no fault of your own. This aspect of the stigma is a purely internal and personal issue that you must work out. The financial stigma associated with bankruptcy is the aspect that can affect you. For example, after you file for bankruptcy, your credit score will usually go down. How much? It depends on where you started. By some estimates, the credit score for most people who file bankruptcy will settle at about 550, no matter where they started—but if you're careful, it won't stay there for long. You will probably have more difficulty obtaining credit, such as a car loan or home loan, and when you do get credit, it will cost you more in the form of a higher interest rate. The financial stigma may have some benefit in that it discourages you from getting yourself into debt once again after bankruptcy has wiped it out. Nevertheless, the financial stigma is not as bad as many people imagine. For example, many debtors receive credit card offers right after they file for bankruptcy, albeit at high-interest rates. This is because creditors are aware that under federal law, you cannot obtain another bankruptcy discharge for about eight years. Of course, it is important for you to weigh the pros and cons of a bankruptcy case. In the end, many people decide that the benefits far outweigh the costs, particularly when those costs are mainly social or emotional stigmas. In thinking about your options, you should consider that the bankruptcy system was put in place by Congress as a safety net to catch all those who have fallen to the bottom of their economic lives and needed a lift. Like the folks who filed 770,846 cases in 2016. Without bankruptcy, the entire financial system could collapse. This is because there would be no "out," and if you incurred debt, you would be stuck with it for life. You'll survive if you're willing to put the stigma aside. There is no shame in putting to good use a system put in place by the government to aid those in dire economic straits.